Oops odd sleeves but hey at least I smiled this time! It's really windy today, I took me forever to get some decent shots that didn't involve my hair going all over the place, and I'm not just meaning messy, my hair is so fine I even managed to get some shots of my hair up vertically on my head! Haha soo creepy. I don't know if you can work it out but my tights are grey dotty ones. 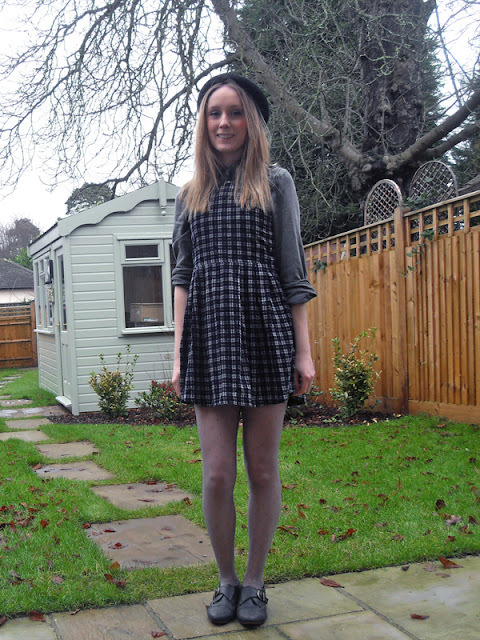 I have a big thing for tights and I own tons of pairs as I always like to have my legs out. Hope you're all having a lovely weekend! I'm planning on getting some drawing done. i have just found your blog and really like the way you set it out, do you think you could give me any tips ? Very cute outfit, especially the shoes! I love the setting of your pictures too. This really is such a sweet outfit!! i love the dress and those shoes are so pretty. and just wanted to say, since you've inspired me so much with your amazing outfits, am passing the One Lovely Blog Award to you! check it out at my blog :). Aw you are too kind! Thank you so much for the comment and you are incredibly pretty! I ADORE your blog and followed even after just seeing your first picture! You blog is amazing! 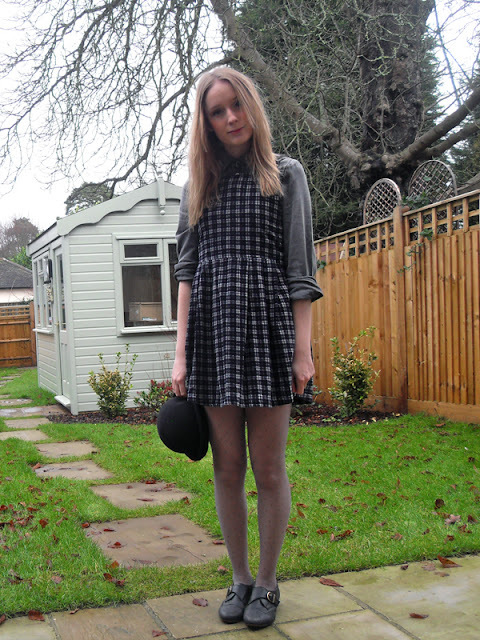 Such a cute dress, and I'm loving the tights! Oh so lovely outfit!Like how you've matched it!! you have such a sweet style! you reminded me of alice in wonderland:) love your illustrations, they're really good!